Yesterday I got an interesting phone call from Tim. "Honey, there's a mouse in my car." "Yes. He must be in the ductwork. He's chewing up things and it's coming out the vents. Blowing all over the place. And it smells terrible in here." "Tim! How in the world did you get a mouse in your car?" "Remember last weekend when we were at the farm, and I got those boxes out of the container and put them in the car?" The containers. That's a story in itself. The containers are large trailers from former ABF trucks. Tim purchased them in 2002 about the same time we purchased the farm. He had the wheels cut off, had a nice large pad built and had them set up on the pad with some space between them - large enough to pull a dump truck or tractor into. He planned to use the containers to store tools and equipment and various other items. As some of you local readers probably know, we lived at the farm for four years before moving back to town. During that time, the containers became our storage buildings. 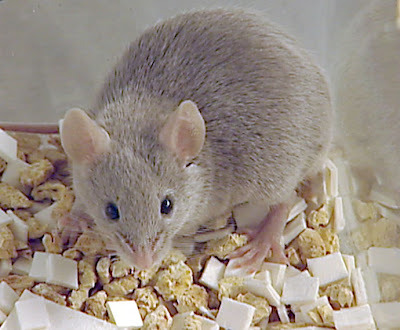 When we first began storing things there, we were pretty much city slickers with no thought for the little creatures that are just a fact of country life - mice. It didn't take long for us to learn. But, not before the mice had invaded boxes of clothes, papers, and other items that should never have been stored in those containers. Oh, what a mess! We learned our lesson about what was appropriate and what was not appropriate to store. If it can be chewed up, don't store it. So, I was surprised when Tim came into the house at the farm last weekend and said, 'I found a couple of boxes of things I thought you might be interested in for the blog. Come out and take a look." In the back of his SUV sat two cardboard boxes. Mostly they contained several old trays of slides. Some had been his dad's. Some had been my mother's. I had no idea those had been left in one of the containers. Year ago, even before we moved to the farm, I spent several days sorting through and organizing old slides. We thought maybe these were just discards, slides we didn't want, that had somehow ended up in storage. But, no. We began pulling out individual slides and holding them up to the light. "Tim, look, here's a great picture of your mother!" Then, "Here's another great picture! This tray belonged to my mother. Oh, I'm so glad you found these! Let's take them home and I'll sort through them." What we did not realize was that lurking somewhere in one of those boxes was a mouse. That's the only plausible explanation we can come up with for a mouse being in Tim's car. We conferred about what he should do. He turned off the heater and cracked the window. He made a quick stop at a store for mouse traps, but they didn't have any. Tim is a busy man. His day planner was chock full of things to do. He had places to go and people to see. He was in another county nowhere near home where he could trade out vehicles. There seemed to be nothing for him to do but to proceed on his way with his little stowaway on board. He called me later. "Honey, you better be glad you're not in here. I don't think you'd like it. It sounds like he's right above my feet." He was right. I wouldn't have liked it. Not one little bit. And that's the understatement of the year! Tim zoomed in just in time for a quick bite and change of clothes before church last night. He parked his car. We went to church in my vehicle. After church, we went to the store and purchased two mouse traps. Tim loaded them up with peanut butter. This morning, he went out to check his traps. There, on the front passenger floorboard was a dead mouse. Tim left for a busy day in a mouse-free vehicle. End of tale. The mouse story is cute! You are a great story-teller. Maybe it's from all those years in a classroom! Love the picture of the steeple! Thanks, Lisa! Thanks, Mardot! I'm sure glad I wasn't in that car! You probably could have heard me shrieking all the way to Sac, Lisa! This story is so funny!I can just hear you telling it =) my mom and I enjoy your blog so much! Kaylie! Thank you so much! The feedback is the best part for me! When I first started blogging I didn't tell anyone about it, but I'm really enjoying it. Thanks for the comment! I'm enjoying your engaging tales and your family pix! My Friend's New Home, Plus a Bonus - Rylie! Oh, Boy, It's a Boy!